Kenwood Plc were called to this mid terrace residence in Battersea following concerns over dampness affecting various areas. We quickly attended the property and indeed many walls required treatment for rising damp due to the lack of a effective damp proof course. Additionally the treatment required between the front and rear of the property also entailed the use of Kenwood’s specially formulated tanking system. 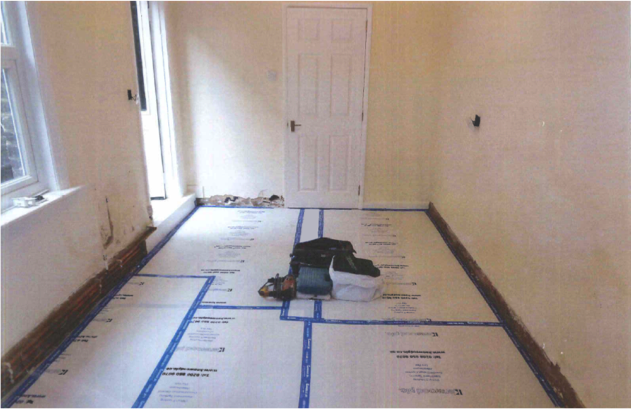 This system is used when the external ground level is higher than the internal floor level and creates an impervious barrier against moisture ingress. These walls are now being left to dry out and them can be redecorated leaving this property free from damp.